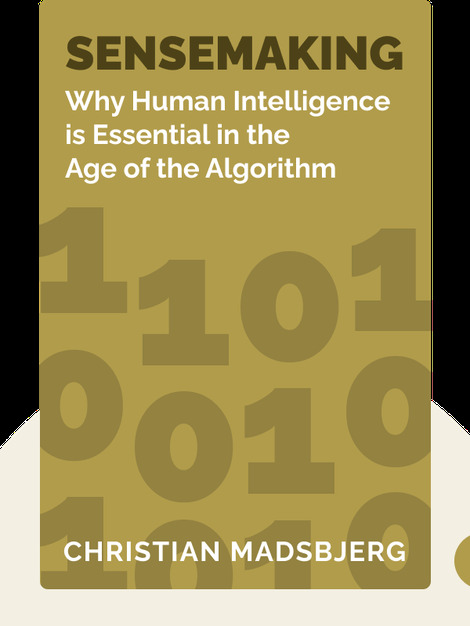 In a world where data, numbers and statistics are treated like holy relics, Sensemaking (2017) powerfully advocates a return to humanities-based thinking. 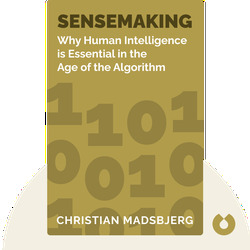 These blinks explain the process and principles of sensemaking, a way to make sense of the world through the interpretation of human culture. Being able to look beyond the immediate focus and understand the context surrounding the issues at hand is a critical tool for anyone looking to develop great, one-of-a-kind ideas. Christian Madsbjerg is the founder of the strategy consultants ReD Associate, which embraces anthropology, sociology, art history and philosophy. Madsbjerg himself studied philosophy and political science in Copenhagen and London.